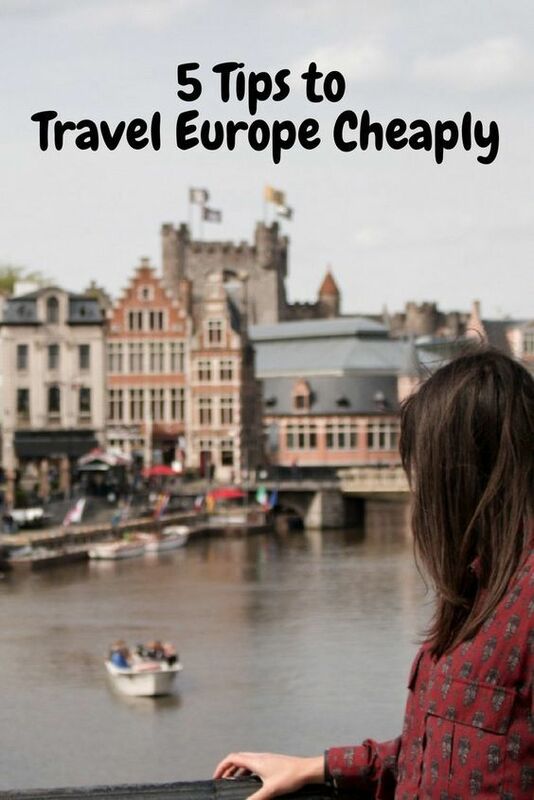 Figuring out how to travel cheap in Europe can be tricky. Though it’s probably the most popular continent for most first-time travelers, Europe can also be the most expensive. If you don’t watch yourself, your cost to travel Europe can get expensive quickly. But with so much to see in such a small continent, it’s worth the effort to find ways to travel cheaply through Europe. 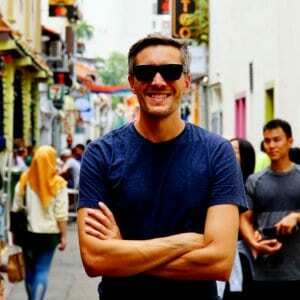 I’ve traveled to most of the European countries, and through that experience, I’ve picked up some great tips on how to keep your Europe trip cost down. 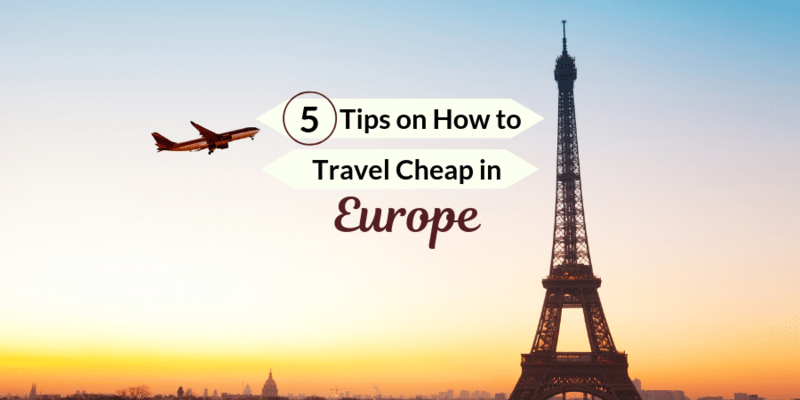 Below I share five of my favorite tricks and hacks for how to travel cheap in Europe. If you want more usual travel tips like these, be sure to sign up at the end of the post and I’ll send you a copy of my free e-book: 99 Tips for Traveling the World! And if you are headed to Europe, you might also want to check out my post on the best times to travel to Europe. The traditional way of saving money on transportation while backpacking Europe is to get a Eurail pass (a number of packaged train passes that entitle you to a certain amount of travel). Trains are great because they are arguably the easiest way to travel in Europe. But, while it is still possible to find value Eurail passes — particularly if you are eligible for a student discount — more often than not Eurail works out to be surprisingly expensive. Instead, I recommend checking out car-sharing services — the most popular of which is BlaBla Car. It sorta works like Uber for long distances, but with a key difference: the drivers only use it to offset expenses, not to make a profit. That means it’s a little less convenient than an Uber: you have to show up at the appointed time and place picked by the driver, and the drop-off location in your destination city may not be exactly what you want. BUT it also means that the costs of rides tend to be cheap. Really, really cheap. For example, last summer I took a ride from Paris to Brussels for less than 20 euros! The train, for comparison, would have cost over 100 euros. And, unlike on a train, you’re likely to meet some cool people along the way! If you are trying to figure out how to travel cheap in Europe, the first thing you need to ask yourself is: where you are planning to go? That’s because the cost of goods and services varies ENORMOUSLY depending where you are on the continent. As a general rule, the further east you go on the continent, the cheaper it will become. Any country that was part of the Soviet bloc is likely to have significantly lower prices than it’s neighbors. As an example, lodging in Bratislava, Slovakia is often only about half of the cost of a similar place in Vienna, Austria — even though the two cities are only 79 kilometers apart! Ukraine, Poland, and the Balkans are especially great travel deals in Europe. But there are cheap(er) places to be found in the west as well — including Portugal and some parts of Spain (Mojacar, for example). The key is to think broadly! As I often tell people, my number one tip for traveling the world cheaply is to get off the tourist path. After lodging and transportation, the top travel expense in Europe tends to be food and beverages (and it may well be your top expense if you’re the party type…). You probably already know the usual tricks for saving money on food and drink: cook at home or in your hostel, eat street food versus sit-in dining, etc. But did you realize that WHERE you look for your meals in a city matters enormously? Whether it’s an expensive restaurant or a grocery store, the reality is that pricing is likely to be dynamic based on the clientele in the neighborhood. Anywhere in a main touristy area or a high-end neighborhood is likely to have more expensive food and drink. So, whether you’re in Amsterdam, Ghent, or London, seek out cheaper eats in other parts of the city. A good rule is to find the largest university and look around there. Students everywhere live on tight budgets, so bars and restaurants around universities tend to offer some of the cheapest options out there. If you are traveling around Europe on the cheap, you’re likely to make some hostel or hotel bookings online along the way. But did you know that there is a quick, easy, and simple way to get CASH BACK from those bookings? It seems too good to be true, I know, but if you sign up for Ebates and use their built-in browser extension while searching for lodging, you can often get 2-10% back from your bookings! They even deliver the money to you directly in the form of PayPal. Moreover, Ebates works for more than just travel bookings – if you’re doing online shopping of just about any kind (for example, if you’re looking for the best backpack for traveling Europe) there is a good chance you should be saving money by getting cash back through Ebates. 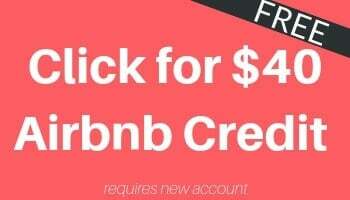 Read my full post about how to get cash back from travel here for more details and step-by-step instructions on how to sign up for Ebates. 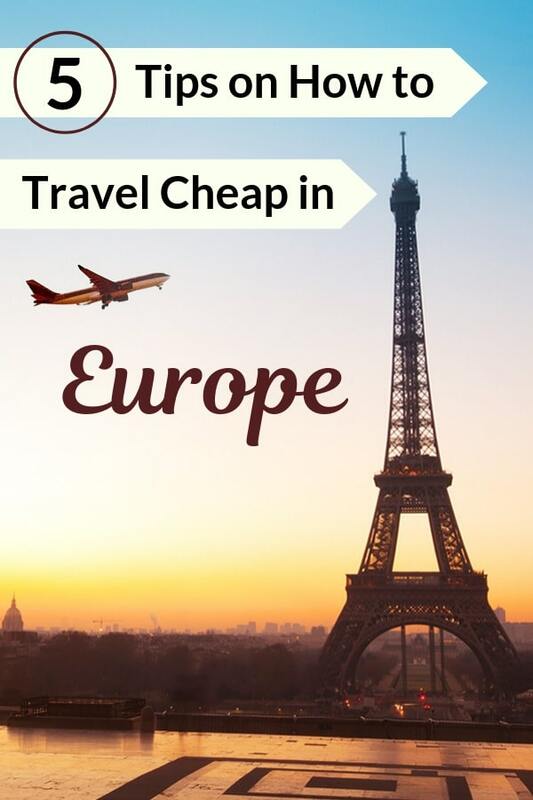 It’s a quick and easy way to lower your cost to travel Europe! Lodging is a huge expense if you are trying to figure out how to travel cheap in Europe. So be sure to get creative when booking your accommodation — forget about just hotels and think more broadly. Hostel dorm beds are probably the most popular way to save money in Europe on lodging. I know you may think it is weird to share a room with other people, but actually, it’s generally a pleasant and very fun experience! But if hostels aren’t your thing, there are other options. Couchsurfing is a popular site where you can stay with hosts for free (though you’re usually expected to socialize with them, and maybe take them out for dinner, etc). If that isn’t for you, AirBnB has an option for you to rent out a private or shared room in a person’s home — often at a severe discount of a normal full apartment rental. And in parts of Europe it’s still possible to camp cheaply, or to stay in non-traditional accommodation. I even saved a ton of money in Slovakia one time by booking a room in a convent! Bonus Tip: Travel During Shoulder Season! Prices in Europe go up during the peak season, which is typically during July and August, and again around the end of year holidays. But if you travel during shoulder season (the months before and after peak season), you can often find cheaper accommodation prices while still enjoying great weather. For more information, check out my complete guide to how to pick the best time to travel in Europe. Want Additional Free Tips on How to Travel Cheap in Europe (and Everywhere Else)? If you liked these tips, you’ll love my FREE e-book 99 Tips for Traveling the World Like a Pro? It’s packed with tons more travel tips, hacks, and tricks that will save you time and money on your journey around the world. Just enter your email address, confirm your subscription, and I’ll instantly shoot over a link where you can download this free e-book. It took me months to put together all these great travel tips and tricks and I’d love to share them with you so that you can travel the world more affordably! Also, be sure to read my guide to whether you should buy annual travel insurance before traveling to Europe! Also, if you need a backpack, check out my Osprey Porter 46 review to see why I think it’s the best backpack in the world! I didn’t mean to. But I kinda laughed when I read “BlaBla Car”. That’s definitely going to get stuck in my mind now. Haha. I’m going to remember that when we go to Europe. Also, I didn’t know the east is cheaper. Thanks Nate for these tips!